Sephora Partners with Charlotte Tilbury Makeup Brand in Canada: Popular makeup brand Charlotte Tilbury, known as the ‘makeup artist to the stars,’ has partnered with beauty behemoth Sephora on an expansion that will see 40 Sephora stores in North America carry the brand, as well as on Sephora’s e-commerce site (Sephora.ca). The line will launch on the e-commerce site on Thursday, September 13 and in stores a day later on Friday. Prior to the Sephora partnership, the Charlotte Tilbury brand was carried exclusively in Canada at Holt Renfrew and Nordstrom. The four Canadian Sephora stores to carry Charlotte Tilbury include CF Toronto Eaton Centre in Toronto, 1045 Robson Street in Vancouver, West Edmonton Mall in Edmonton and at CF Chinook Centre in Calgary. The 36 US stores are spread out coast-to-coast. For the month of September, select Charlotte Tilbury looks will be offered as a complimentary service at the Sephora Beauty Studio in stores that carry Charlotte Tilbury products, according to the company. As well, until October 11, Tilbury’s new ‘Bar of Gold Palette’ line will be featured only at Sephora before it is distributed elsewhere. Charlotte Tilbury’s ‘Pro Artist’ team will be traveling across North America in September and Toronto is the first stop — the CF Toronto Eaton Centre store will see the activation on September 15. Sephora is being aggressive in terms of its brand partnerships as it expands its business in the face of increasing competition. Last month we reported that Sephora had partnered with US skin care brand Kiehl’s for the first time, with the brand now being carried in several Sephora stores. Sephora is said to be wildly popular in Toronto, with several stores exceeding $20-million annually in sales. In 2016 Sephora launched a ‘takeover’ initiative where it added new stores and expanded other locations. The CF Toronto Eaton Centre is one of its highest-selling stores, according to the company. Jeff Berkowitz of Aurora Realty Consultants represents Sephora as broker in Canada. LVMH-owned Sephora, which operates stores globally, continues to open stores in Canada. Most recently, it opened its 70th Canadian store in Kamloops, BC. Until recently, Calvin McDonald was the company’s CEO but he recently left to run Vancouver-based Lululemon. Opening Soon! 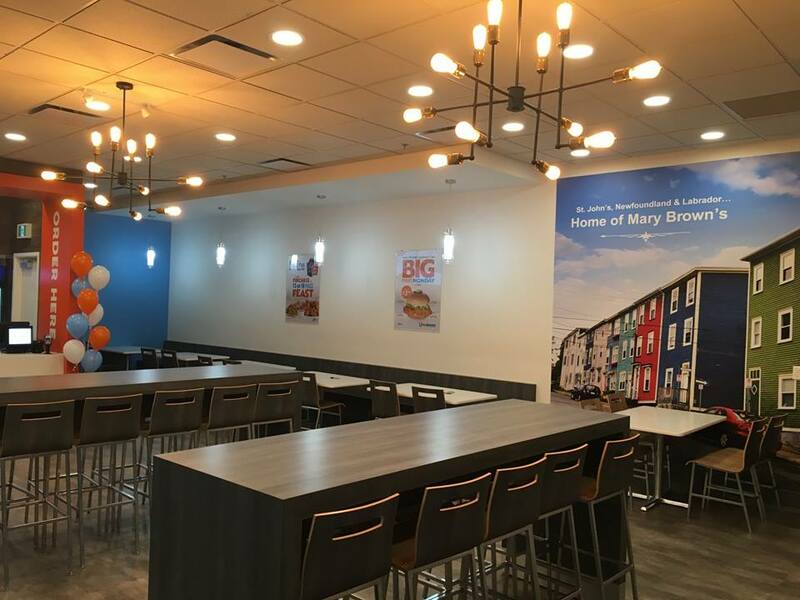 Mary Brown’s Announces 19 New Locations across Canada: Mary Brown’s Inc., since opening its first St. John’s location in 1969, has been and is continuing to implement an aggressive growth strategy and brand refresh. Recently announced is the signing of 19 new locations in 2018, which are set to be opened over the next 18 months. This is the next phase as Mary Brown’s applies its corporate and franchisee growth strategy across Canada. The ‘chicken and taters’ fast food purveyor is moving into the last quarter of 2018 with the aim to identify ideal drive through, end cap, and inline locations within high performing centres, in addition to stand-alone sites on busy thoroughfares, ranging from 1,500 to 2,500-square-feet. Director of Franchising and Leasing is Sean Sarrami, who can be reached at: sean.sarrami@marybrowns.com. West Edmonton Mall Now Accepting AliPay and WeChat Pay: North America’s largest shopping centre and entertainment complex, West Edmonton Mall, is catering to Chinese visitors by accepting Alipay and WeChat Pay at Galaxyland amusement park, World Waterpark, Guest Services, Fantasyland Hotel, and WEM Inn. Alipay and WeChat Pay are mobile-based payment platforms that are widely used by the Chinese populace. West Edmonton Mall has teamed up with Alpha Pay, an Alipay and WeChat pay service provider, to allow consumers to purchase admission to parks, pay for their stay at Fantasyland Hotel, or purchase WEM gift cards at Guest Services which can be used to make purchases within the Mall. Several merchants in West Edmonton Mall have also begun using Alipay and WeChat pay at their point-of-sale. All retailers should consider it — Alipay has a “discover” function which allows travellers to locate merchants in the Mall that accept this form of payment. This solution also enables merchants to reduce friction in the check-out process, offer seamless payment experiences anywhere in the store, and engage consumers in new and innovative ways. The “Outbound Chinese Tourism and Consumption Trend: 2017 Survey" found that Chinese tourists use mobile payment overseas far more frequently than their non-Chinese counterparts, and over 90% Chinese tourists would use mobile payment overseas given the option. Chinese tourists are big spenders, and good for business. The number of Chinese citizens traveling overseas has been steadily increasing year by year. According to statistics from the China National Tourism Administration, Chinese tourists travelled overseas on 131 million occasions in 2017, an increase of 7% from the previous year. Statistics from the International Tourism Association shows that the overseas spending by Chinese tourists last year was as high as $341 billion (CAD) in 2016, increasing 4.5% over the same period (year-on-year) and was ranked first among all tourists worldwide. With this growing trend, West Edmonton Mall believes that offering Chinese specific mobile payment options will deliver a superior customer experience for the changing behavior of today’s Chinese consumers. As well, we’re told that several luxury retailers are expected to be moving into West Edmonton Mall in 2019, stay tuned for some big announcements. Mid-Autumn Festival Mooncake Popup Pairs Holt’s Colette and Soirette: A delicious new collaboration between French-inspired Colette Grand Café Vancouver and local specialty bakery Soirette will have shoppers craving the exclusive creations at the mooncake pop-up in Holt Renfrew in celebration of Chinese Mid-Autumn Festival. Each delectable mooncake is delicately crafted with a macaron in the centre in place of the traditional egg yolk. Mooncakes are not only beautiful but an integral part of celebrations, as they are gifted to family and friends as a symbol of reunion and unity. Soirette is already well-known in Vancouver for annually creating an elegant collection of mooncakes for the festival. Colette Grand Café is welcoming this tradition to further connect with guests and continue to provide experiential retail to Holt Renfrew clientele with a sophisticated pop-up. 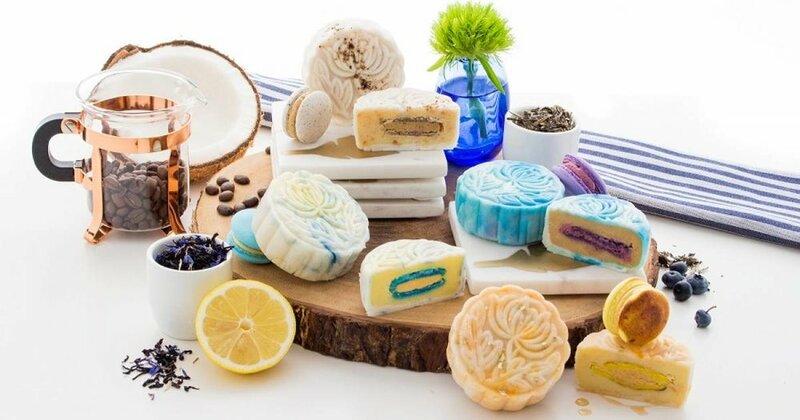 The unique mooncake collection ($68 for a set of 4) will be available exclusively at the Colette x Soirette pop-up at Holt Renfrew Vancouver on the main floor next to Concierge from 12 pm to 5 pm daily. IKEA Launches 330,000-Square-Foot Distribution Centre in Richmond: Across from Harvest Compost and next to a stream and lush farmland, IKEA has launched its newest Customer Distribution Centre in suburban Vancouver. The 330,000-square-foot location created approximately 100 new IKEA jobs (including 17 former employees of closed Acklands-Grainger facility) and will fulfill orders for the four existing BC and Alberta stores, as well as e-commerce purchases. This will be the third IKEA distribution centre in Canada. On hand at the opening were CEO and President of IKEA Group Jesper Brodin, IKEA Canada President Marsha Smith, and Richmond Mayor Malcolm Brodie, who welcomed everyone to the shiny new sustainable and eco-friendly location. Following the raucous ribbon cutting ceremony (thanks to high-sugar pastries, coffee, and unlimited access to thundersticks), Retail Insider was treated to a tour of the facility via golf cart. We zipped from the staff basketball court (soon to have foosball and other tabletop games) to the no Styrofoam-peanut packing area to the laser re-boxing area (for damaged packaging), swooshed by aisle after aisle of racking with floor-to-ceiling end fire retardant baffles, and through 73 shipping bays. Additionally impressive are the energy saving measures incorporated into the massive structure. In the warehouse, all aisles are lit by sensor and if no movement is detected after 5-minutes, the aisle goes dark. This was especially amusing during the launch ceremony as a staff member could be heard driving up and down the aisles ensuring the lighting stayed on while speeches were being given. The staff locker room also has a dual-detector for sound and motion. The facility also includes a 20-person open office area, resources area for job searches and computer use, a quiet room, and lunchroom with (soon to be subsidized) healthy meals options via vending machines, and a view of the countryside where deer, beaver, eagles, gulls, and numerous other species are visible through windows and from the outdoor seating area which features bright orange Adirondack chairs. Love them or hate them (for those darned Allen keys! 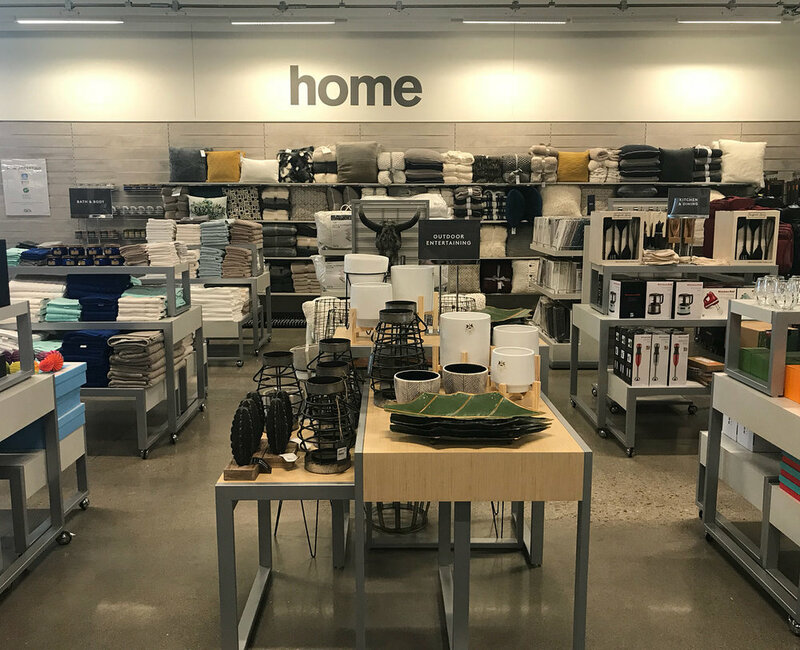 ), IKEA has been providing inspirational home solutions, excellent Swedish value, and tasty meals, to customers in Richmond for 39 years, longer than any other IKEA market in Canada. Montreal’s Startup Fashion Week Expands to Include Toronto: Marking its fifth year cultivating a unique platform to support fashion and tech start-ups by expanding from Toronto into Montreal earlier this year, Startup Fashion Week (SFW) is the first fashion week to run in two of the nation's most prominent fashion capitals. The three-day sold-out event in Montreal positioned SFW as the leading national platforms for strengthening the Canadian fashion landscape. The Toronto event runs from October 16th to October 19th and is designed to stimulate networking, professional dialogues and showcase opportunities, which will include great events such as an invite-only Designer Dinner followed by a Media Launch/Opening Party, Business of Fashion Conference, Gender and Fashion Forum, and Runway Show hosted by Toronto's Television Host & Radio Personality Devo Brown. SFW is the first of its kind, representing the intersection between fashion, business, and technology created in 2014 by Jodi Goodfellow, a fashion-tech start-up innovator who saw an opportunity to connect early-stage entrepreneurs with industry stakeholders. 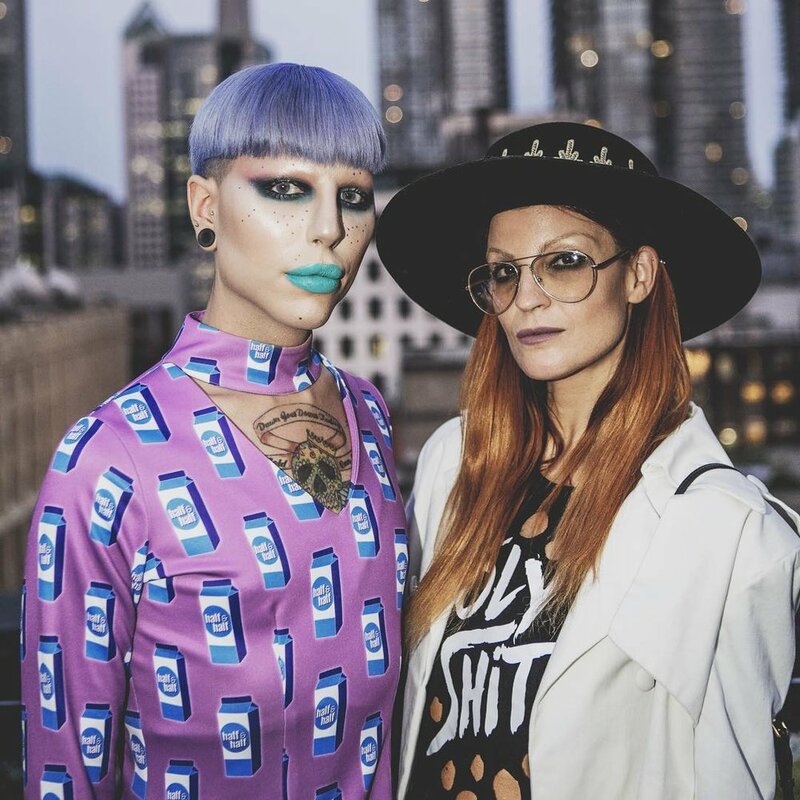 Since its launch, SFW has brought awareness to 42 designers, 31 fashion-tech start-ups, and more than 160 emerging models. Fashion entrepreneurs and industry guests can find event and ticket info at https://startupfashionweek.com/tickets/. 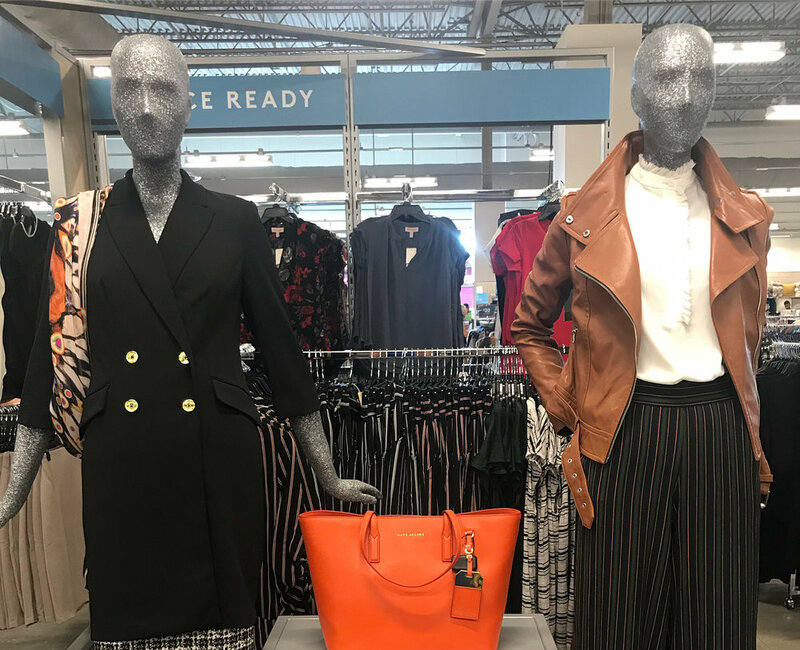 Nordstrom Rack Opens at Mississauga’s Heartland: Nordstrom’s Off-price concept Nordstrom Rack opened its fourth Canadian location last week at Heartland Town Centre in Mississauga. 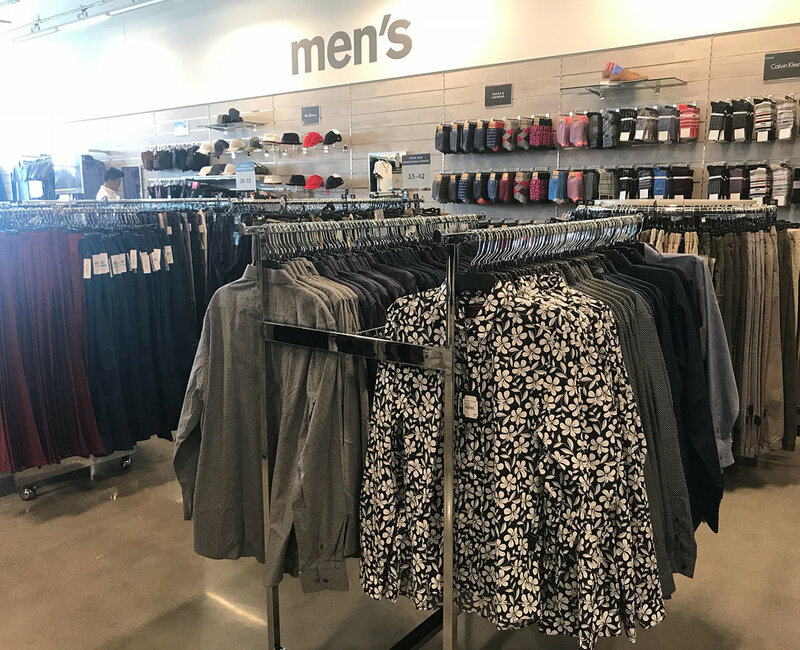 It’s the third GTA location for Nordstrom Rack, which also operates stores at Vaughan Mills north of Toronto, at 1 Bloor Street East in downtown Toronto, and at Deerfoot Meadows in Calgary. Two more Nordstrom Rack stores will be opening in Canada this fall. On October 11, Nordstrom Rack will open at The Ottawa Train Yards in Ottawa. 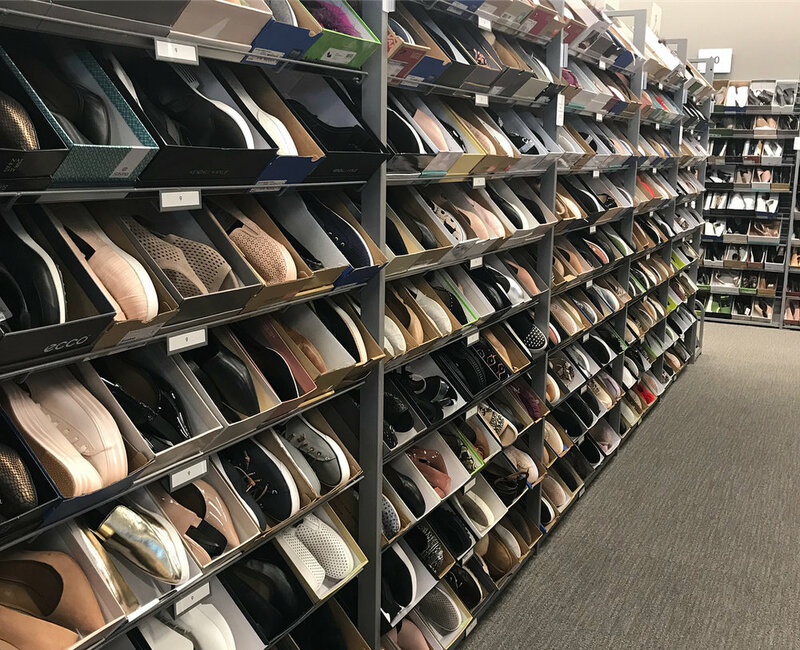 On October 25, Nordstrom Rack will open its Edmonton location at South Edmonton Common in Edmonton, which will become the second Nordstrom Rack location in Alberta. When the South Edmonton Common store opens, it will be the last announced Nordstrom Rack location to date. Nordstrom has said that it plans to eventually operate 12-15 Nordstrom Rack stores in Canada. Any guesses where the others might open? Feel free to comment in the section at the bottom of this page.